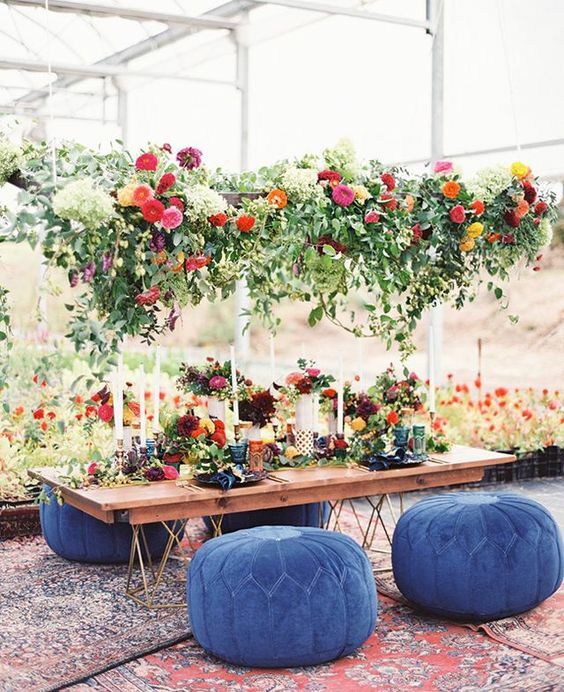 A wedding centerpiece is a traditional thing to decorate the tablescape and create an ambience that you want highlighting your wedding style. 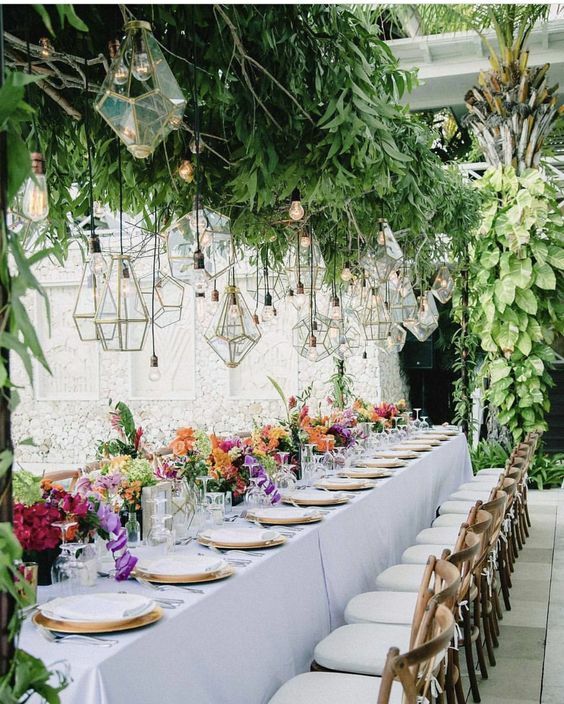 But now you can find more interesting ideas to substitute a centerpiece or just give your space a wow factor, and one of them is an overhead decoration, not just a chandelier but a huge piece over the whole table. 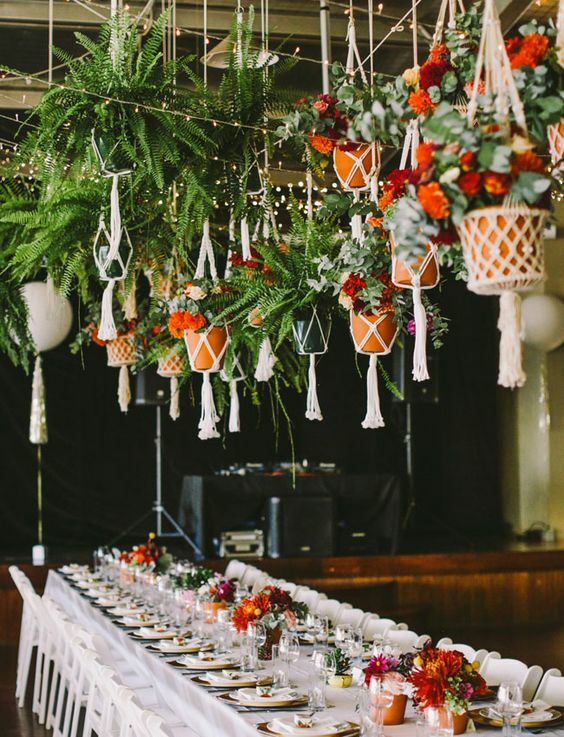 A suspended wedding decoration has several advantages, and first of all, it’s originality of decor – you won’t see that at every wedding. 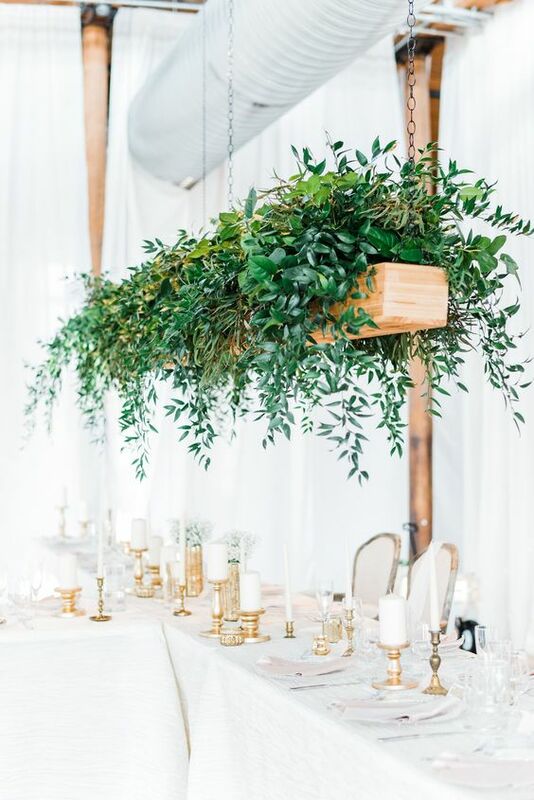 Second, this is a chic alternative to a usual table runner or centerpiece, more lush and beautiful though you may use a suspended decoration together with a centerpiece. 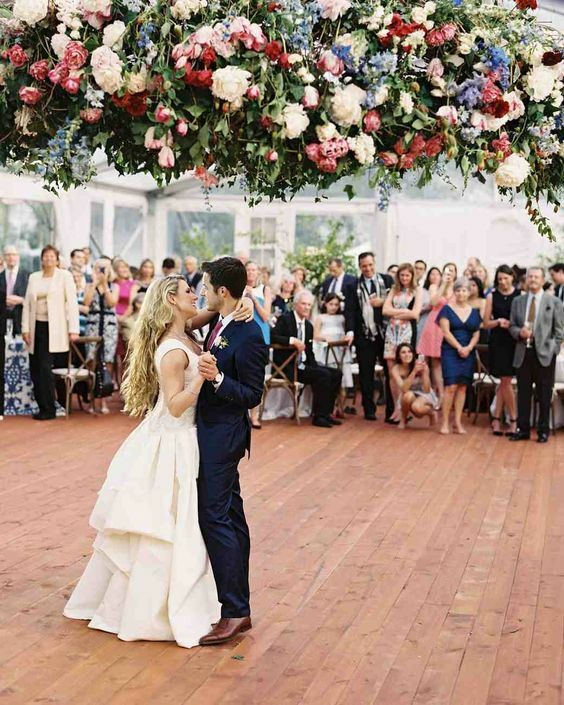 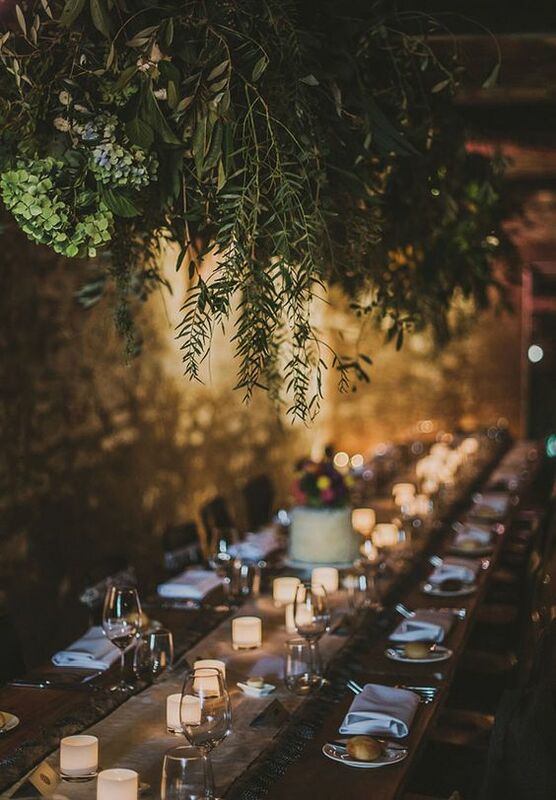 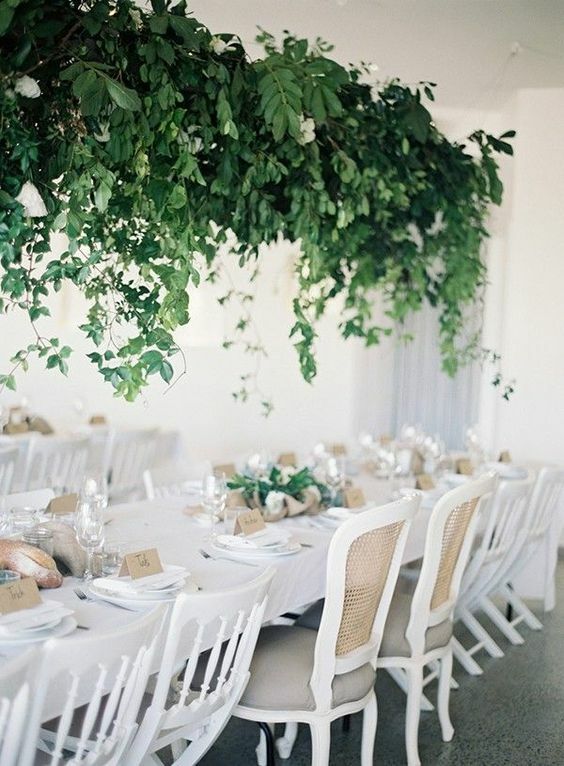 Third, it’s a great way to refresh your venue – lush greenery or blooms will turn any indoor space into an outdoor one. 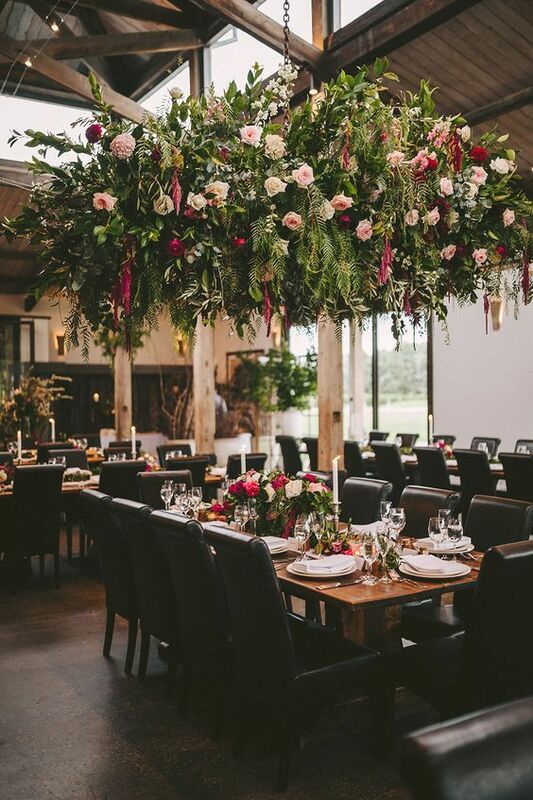 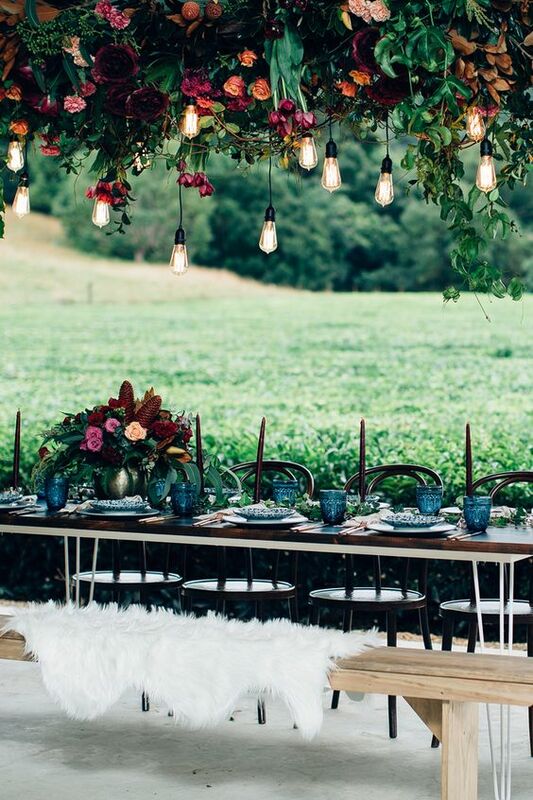 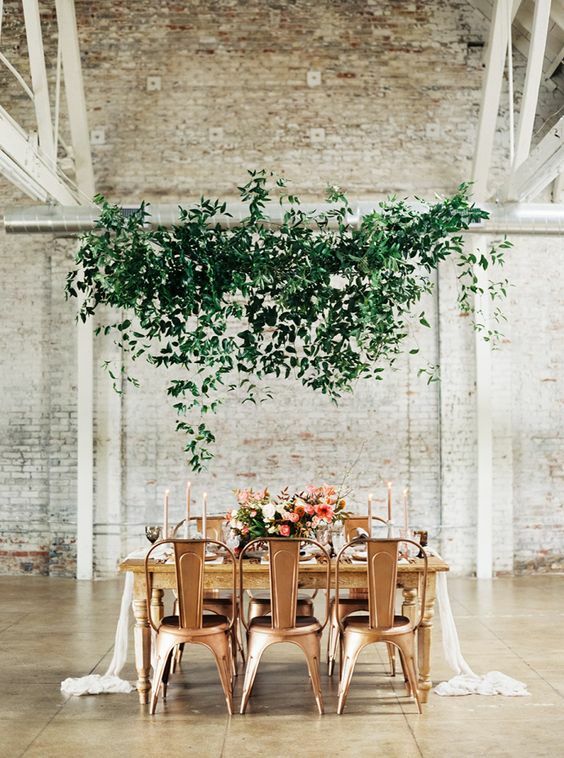 And fourth, suspended wedding decorations bring a strong wow factor to the space. 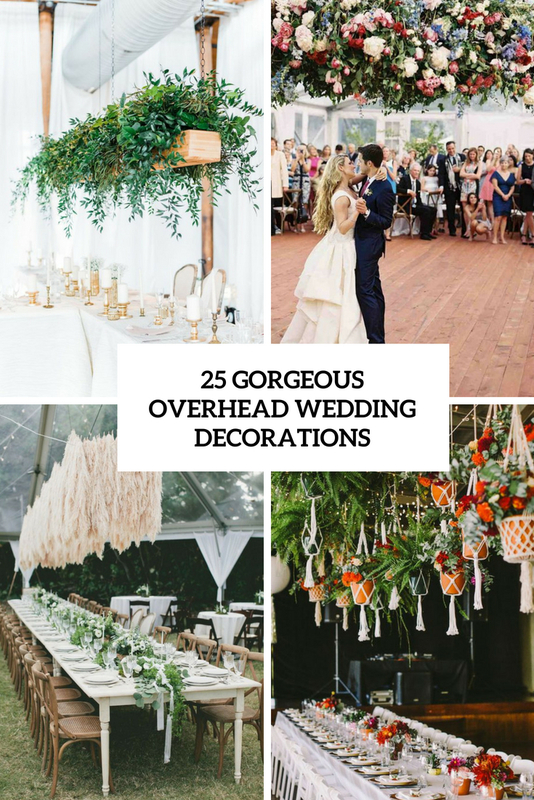 I’ve prepared some examples to convince you, let’s take a look at them. 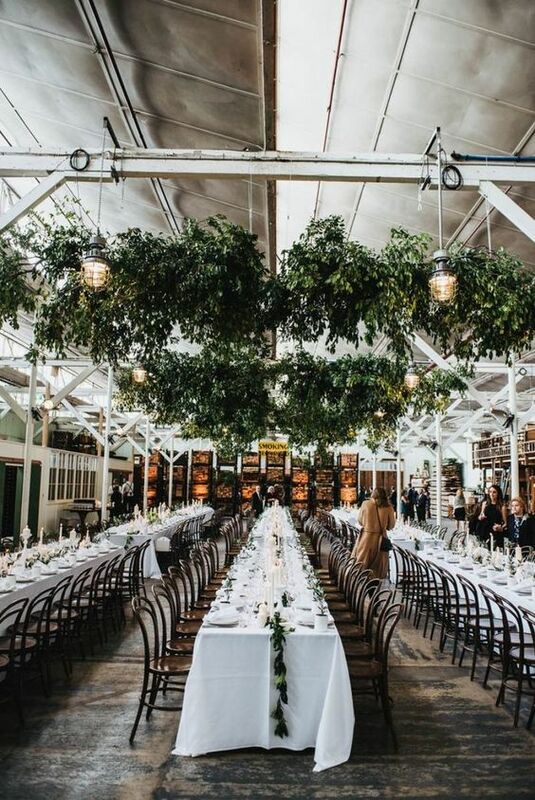 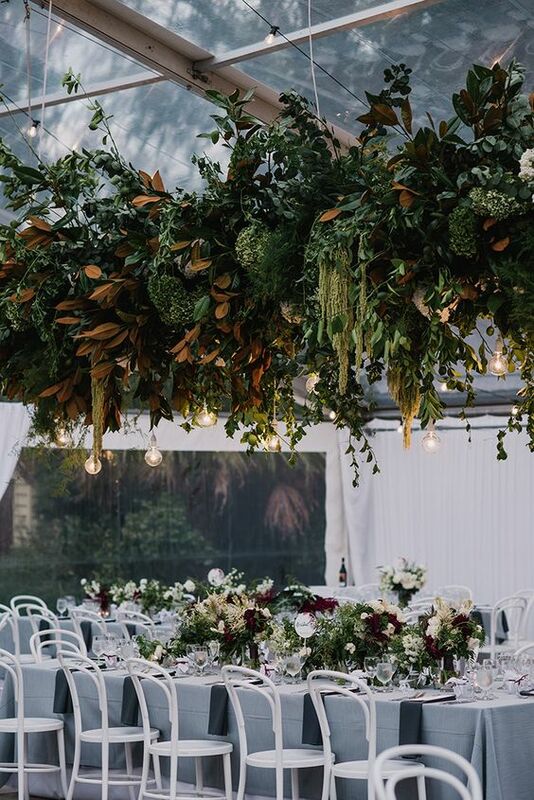 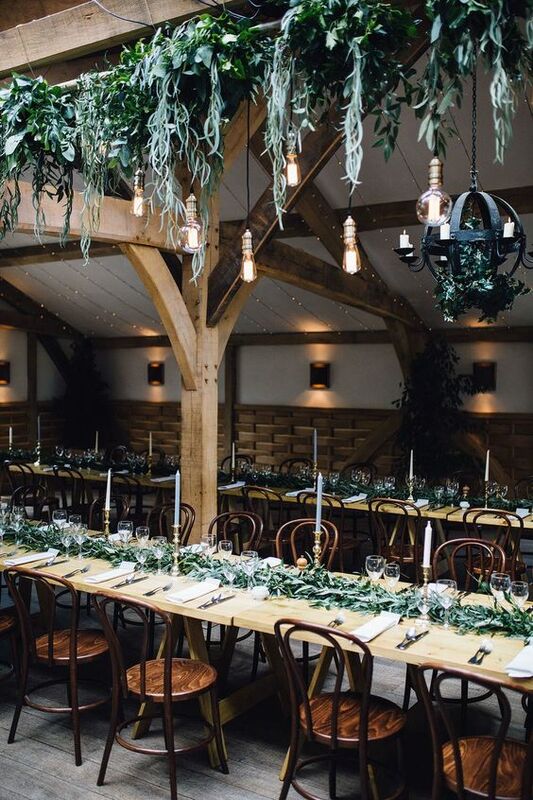 A large fresh greenery overhead decoration is a great way to enliven and refresh the space, an unusual and cool way to go. 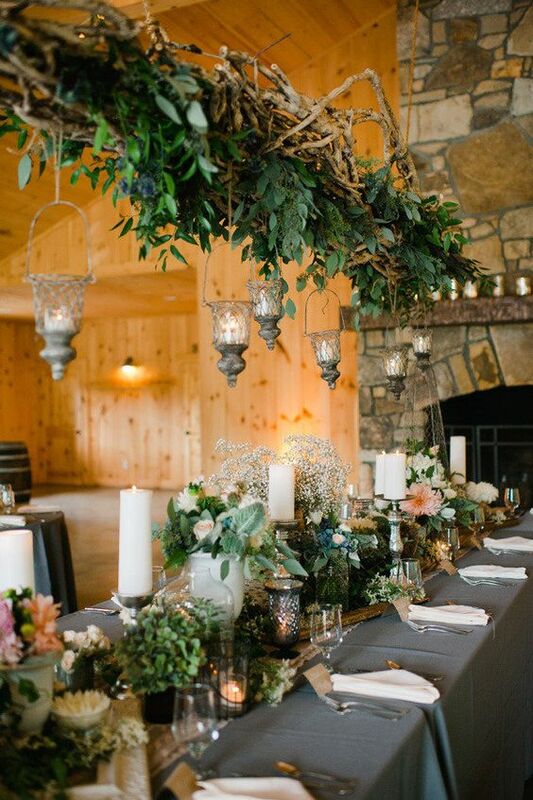 Use textural greenery and foliage of various kinds, add magnolia leaves for a touch of color, try cascades. 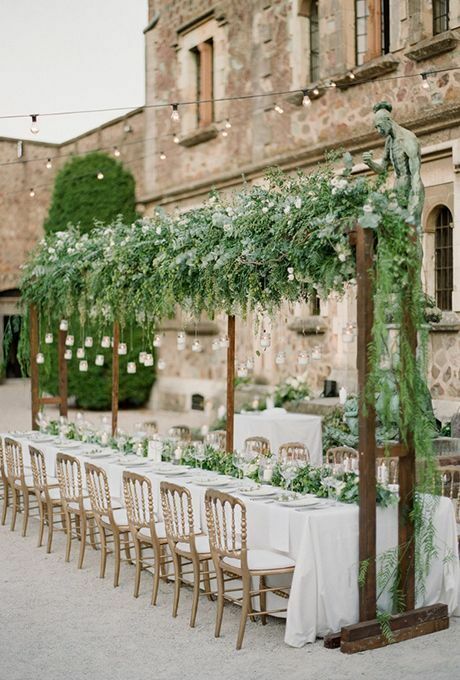 The decoration can be floating in the air or in wooden planters to add a slight rustic touch. 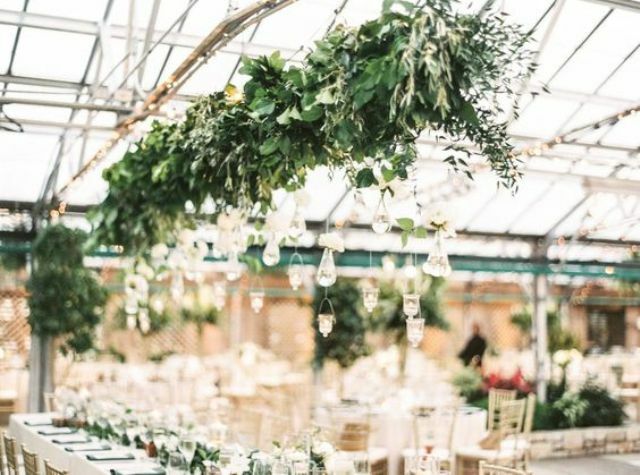 You may also add hanging bulbs, geometric lanterns or little candle holders hanging down from the piece – it depends on your wedding style. 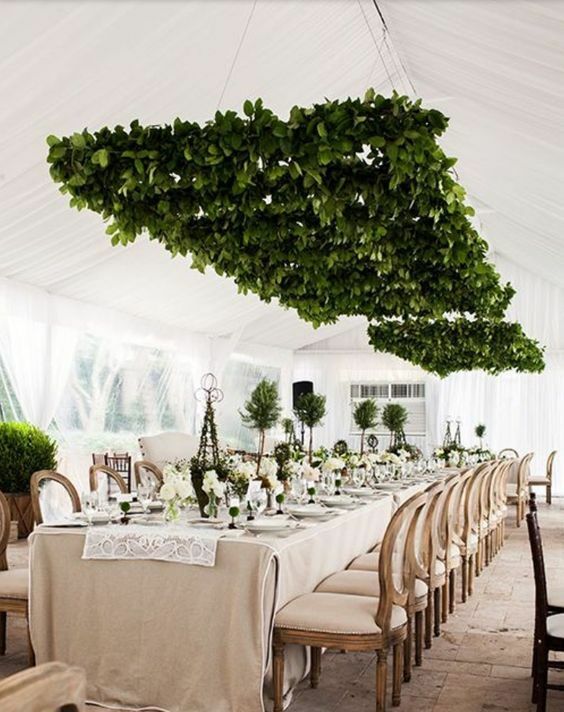 You may also highlight your overhead decor adding a matching greenery table runner for more freshness. 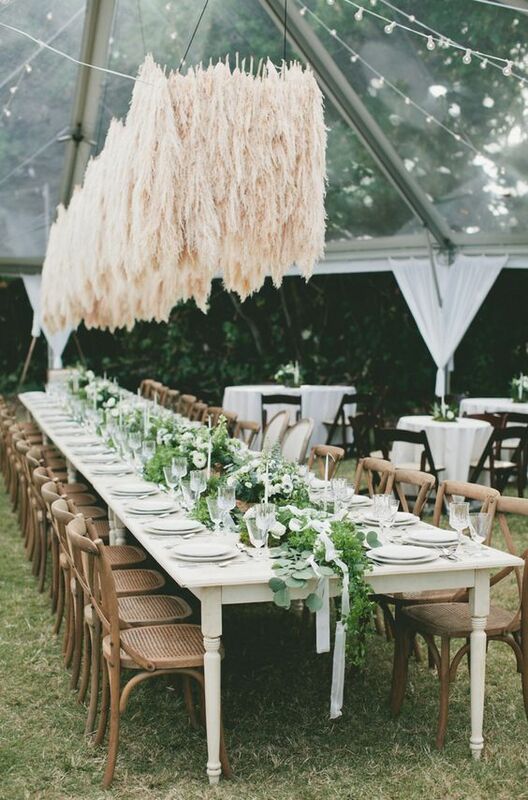 Pampas grass hanging decorations will add an edgy feel, as this grass is super trendy now. 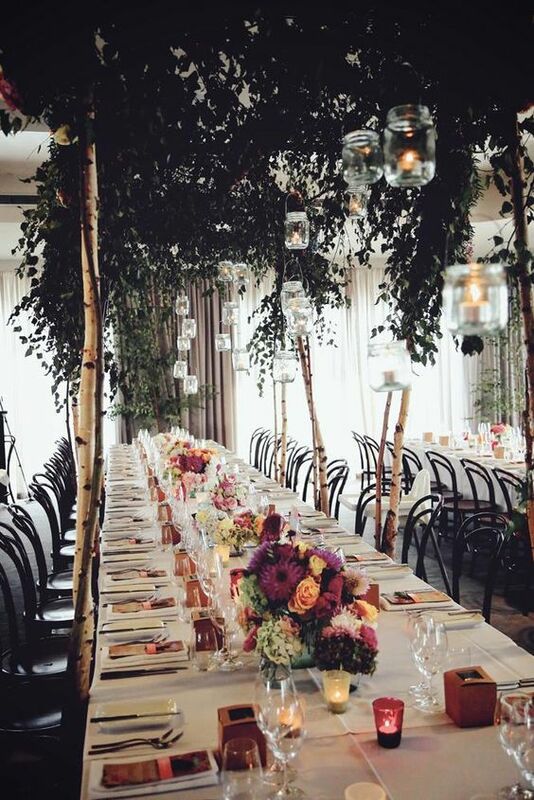 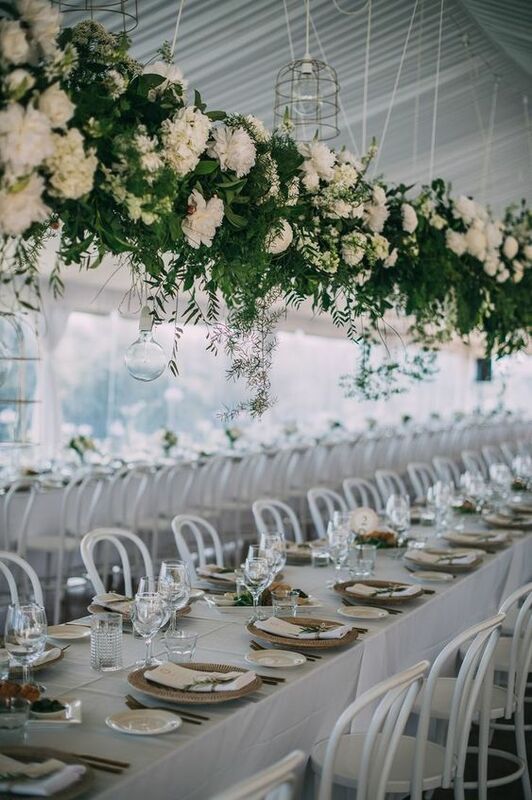 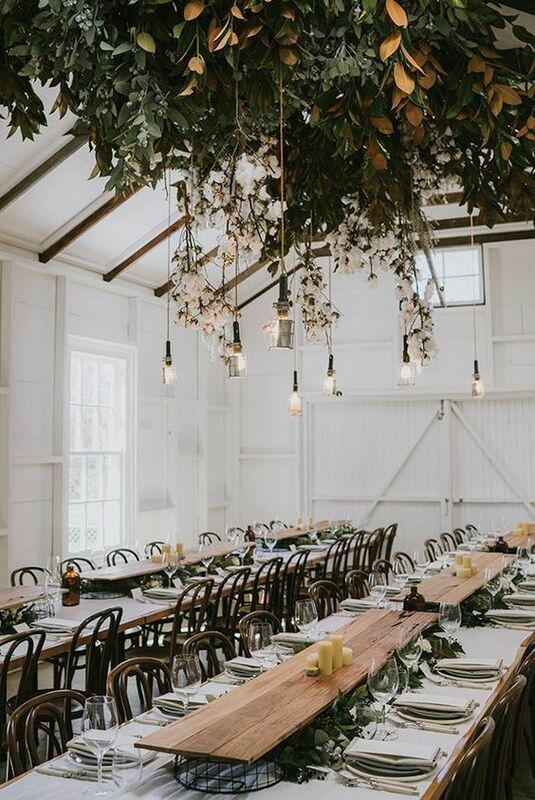 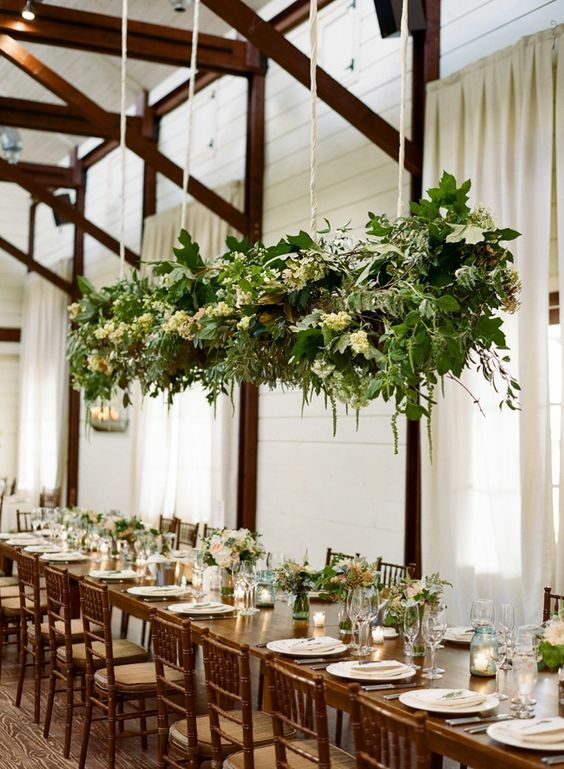 If you prefer blooms, you may create a beautiful overhead floral decoration with a touch of greenery. 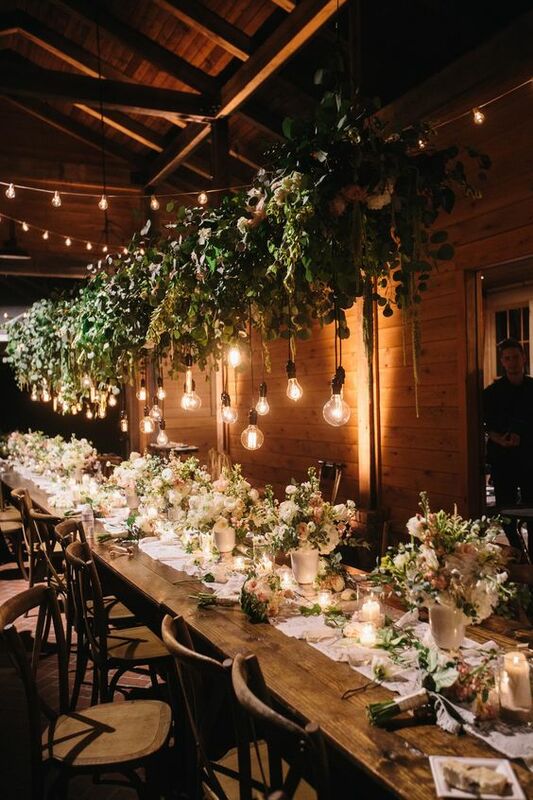 Such decor looks more romantic and soft, and it will make a gorgeous statement, especially if you go for moody or jewel-tone flowers. 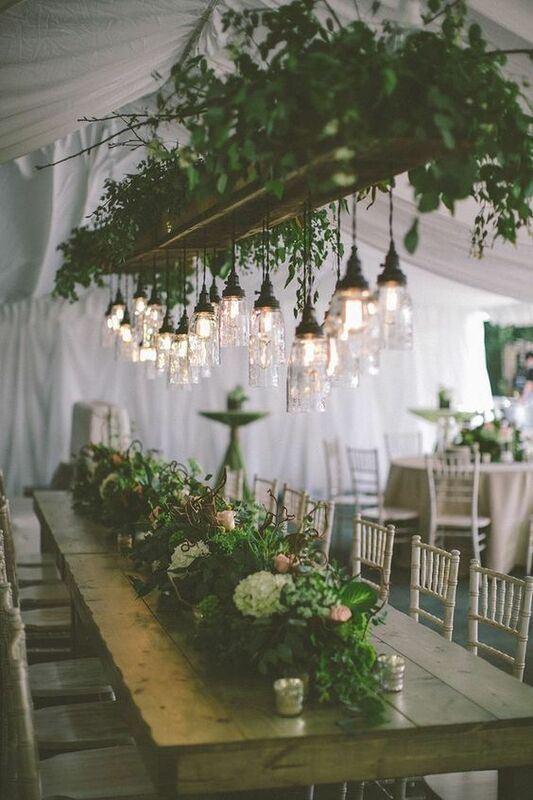 Use the blooms that are used for wedding decor and add candles hanging down for more romance, bulbs usually don’t look very well with tender blooms. 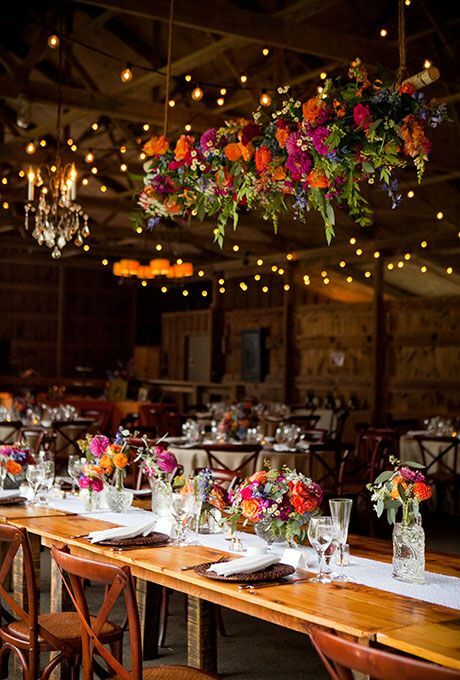 You may hang the decoration not only over the reception tables but also over the dance floor to mark it.